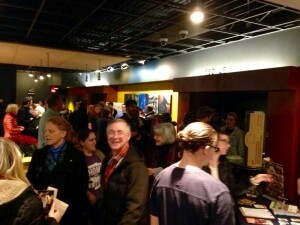 Film-goers sampled food from HoQ before the screening of Fed Up. 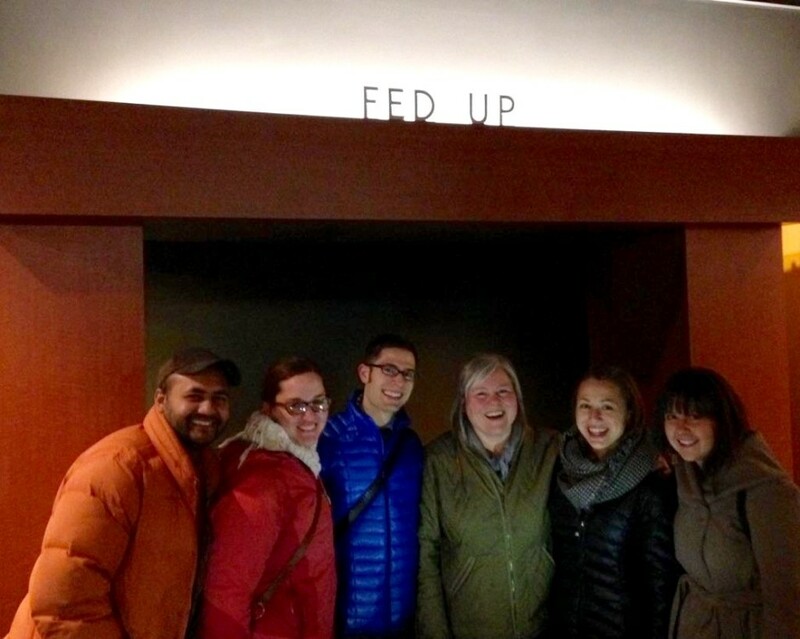 On Tuesday, January 26, we were honored to host Des Moines’ inaugural screening of “Fed Up” at the Fleur Cinema and Cafe. We wanted to bring this food documentary to the big screen in Des Moines because it offered an outside-of-the-box perspective on the food industry and food marketing, backed by expert interviews, research, and science. In this film, we saw the opportunity to share important information to empower people’s choices and health. And by the overwhelming turnout for the event, it is clear this kind of information is in demand. A huge thank you to HoQ Restaurant for providing delicious, locally-sourced snacks in the lobby before the movie. The locally grown popcorn, chicken bone broth, and meatballs were a huge (and delicious) hit. Learn more about this farm-to-table restaurant in Des Moines’ East Village at their website hoqtable.com. Thanks also to FoodCorps Des Moines for sharing about their programs and initiatives in Des Moines Public Schools. Their work with school gardens, food preparation classes, and nutrition education is changing the lives of youth right here in Des Moines. We are proud to support their work in association with this screening and with ticket proceeds. 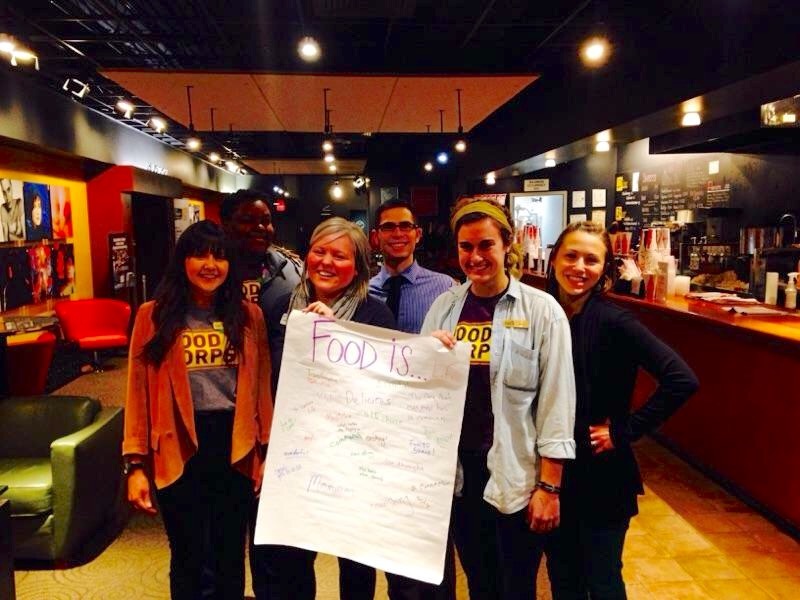 To learn more about FoodCorps, check out their recent blog. Interested in taking the 10-day sugar free challenge mentioned in the documentary? Get free tips and resources on the Fed Up website. HoQ owners Suman and Cynthia Hoque; Dr. Chris LoRang, Jen Morrow and Abbie Sawyer of Capital Chiropractic & Rehabilitation Center; and Chelsea Krist of FoodCorps.